Our generator sets have been present on the market for thirty years. During this time, their continuous development and implementation of new technologies allowed us to collect a lot of tokens of appreciations both from our clients and numerous competition jury panels deciding on awarding prizes during exhibitions and fair events. 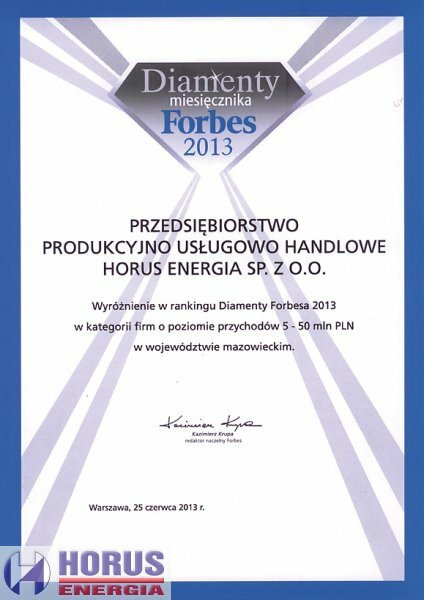 In the years 2008-2012, our products received the Gold Medal of the Poznań International Fair awarded during the POLEKO fair. 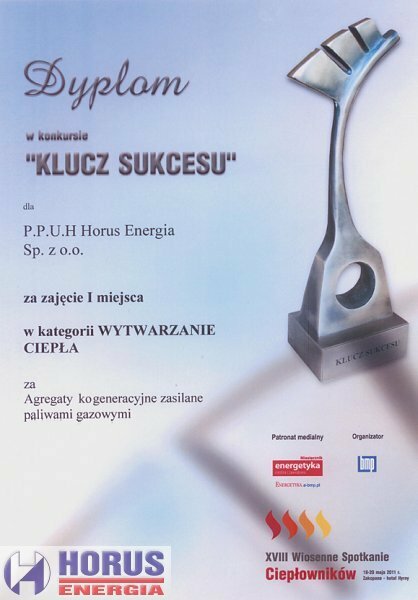 In 2008, our HE-KEC-480/510-PG480-B CHP generator set won a medal – the competition jury emphasised the fact of using Polish technology in the presented device. In 2009, our CHP generator set based on a high-pressure engine, which can be powered by a fuel from renewable sources, i.e. vegetable oil. 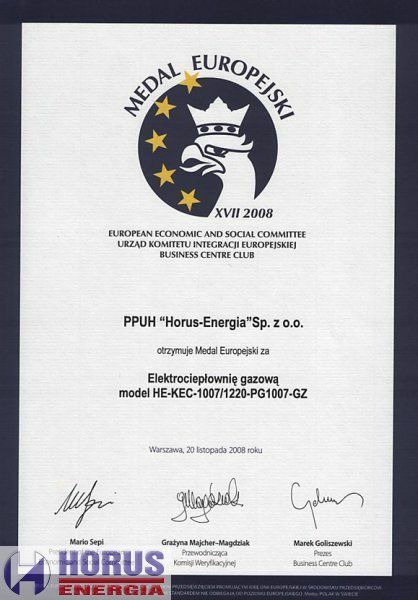 In 2012, we presented a container biogas CHP set, type HE-EC-99/129-MG99-B with an electric power of 99 kW at a fair event, which was also appreciated by the jury and awarded with the gold medal. 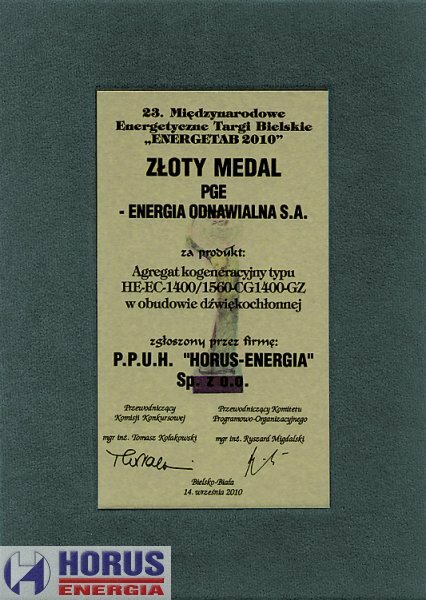 This solution is intended for small agricultural biogas plants and it was also recognized during the 25th edition of the ENERGETAB International Energy Fair in Bielsko Biała in 2012, where it received the bronze medal awarded by PGE Energia Odnawialna. 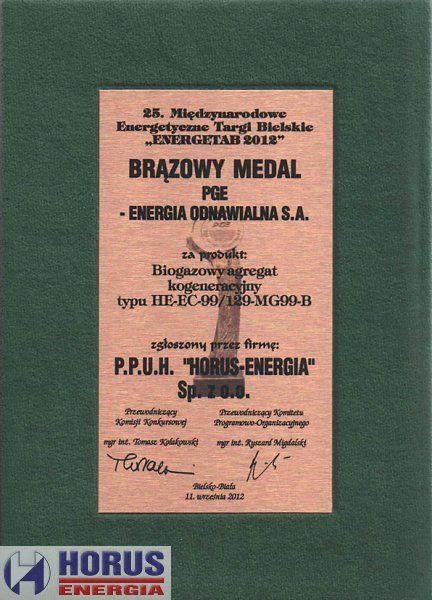 It was our second distinction at the ENERGETAB fair as two years earlier, in 2010, we were awarded the gold medal of PGE Energia Odnawialna for our CHP generator set with an electrical power of 1400 kW, type HE-EC-1400/1560-CG1400-GZ, which had been ordered by ZEW KOGENERACJA S.A. 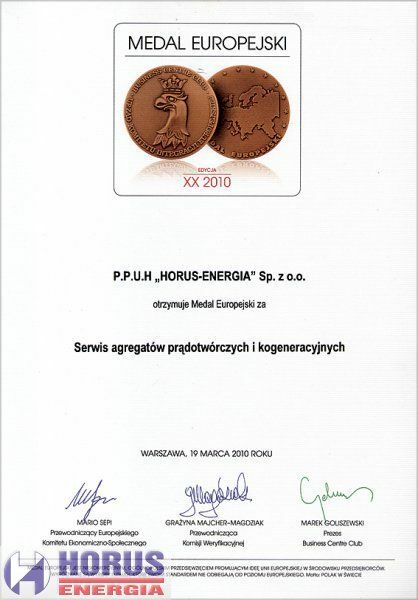 The awards in the form of medals confirm the high quality of our products. 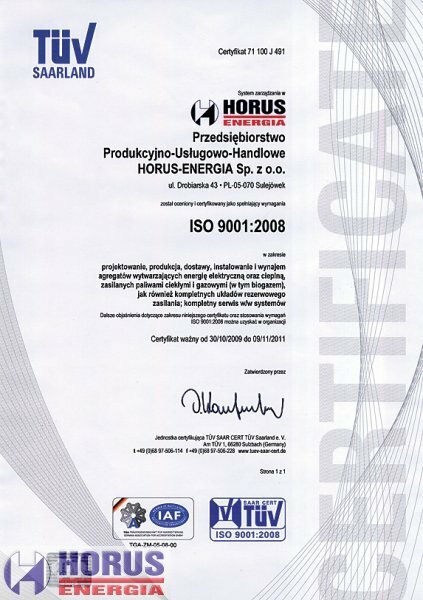 To ensure it our products, services and customer service, we have been using a certified and implemented quality management system according to the standard ISO 9001:2008 since 2008 (it was renewed for a subsequent period in 2011). 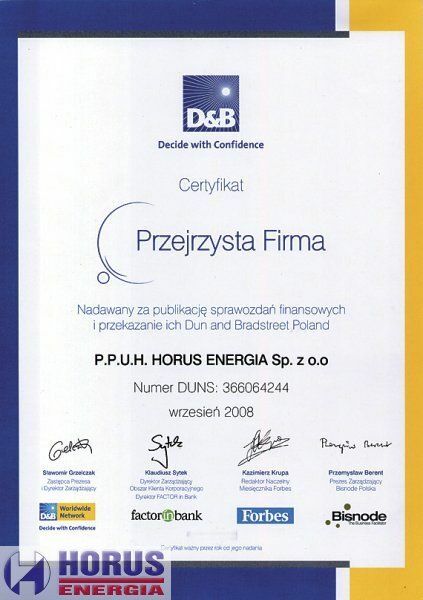 In Autumn 2012, we received an awardin the “Market Quality 2012” competition in the CHP generator set category. 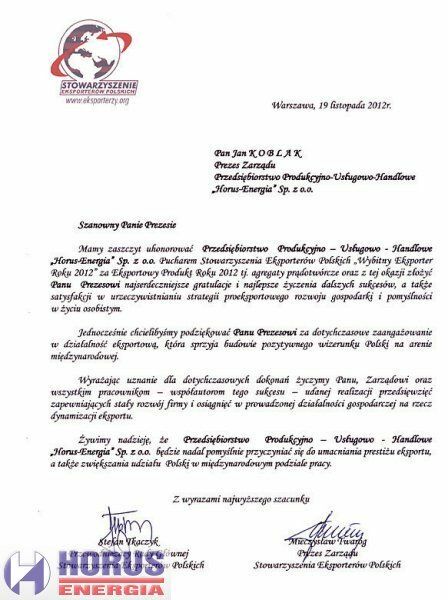 are the best evidence of the fact that we are going in the right direction.